I’m always looking for something to spice things up here at the circus. And this year I think the kids are old enough to really enjoy some pranks tomorrow for April Fools. I was delighted to open my recent addition of Family Fun magazine and find some fun little pranks to pull on the little ones. All sweet innocent fun! And for dinner we’ll be having cupcakes…or so they think. I MAY through in some dirt for dessert, depending on how the day pans out. They’ve had it before, but love it and it seems like a fun finish to a silly day. What about you? Got any fun pranks up your sleeves for tomorrow? Click here, if your looking for some more inspiration! Congratulations Megan! E-mail me your address and I’ll send out your Starbucks gift card this week!! Thanks to all who commented and a super big thanks to all of you who read my blog and share in our life in this way. You are a huge encouragement to me! God Bless Sunday School teachers…especially the teachers of those dear two and three year olds. How they keep those squiggling, squirming little bodies still on those carpet squares to hear the whole lesson is beyond me. Perhaps, it’s occasionally beyond them too. Seems they don’t always get quite the whole lesson. At lunch today I was asking my three year old what she learned about in Sunday School. I was so excited to get an answer beyond the typical, “God” or “Jesus”. My husband chimed in to try to draw out the rest of the story, so he asked, "so, is the hurt man still on the side of the road right now?" I think we will alter our bedtime routine this week so we can spend some time focusing on Luke 10, our sweet little girl seems to have missed a key component of the lesson. One year ago today I entered into this crazy blogging world. My initial post was very short and my commenter's were only IRL friends and family. For awhile I only received comments from my mom, my mother in law or one of my two sisters in law. Now I have by no means “made it” in the blogging world. If anything, I have learned that there are a gazillion mommy bloggers out there with cute kids and tales to share. What makes some rise to the top with hundreds of commenter's and thousands in their RSS feed? I do not know. But, I do not measure my success in the numbers of people reading and responding to my thoughts each day. I love blogging and even though I only have a scattering of faithful readers each day, I still consider it a worthwhile investment of my time. And the reason is for those of you with whom I have formed a “real” relationship. A year ago today I had no idea that I would make true friends through this blogging world. No idea that I would rekindle relationships with people I had lost contact with years ago. I had no idea I would find myself earnestly praying for, rejoicing with, and caring genuinely about these ladies whom I have never seen face to face. This year has been a huge blessing to me. I discovered a love for writing that I didn’t realize was there and an outlet I didn’t realize I needed. I’ve been given an avenue to preserve my children’s antics that doesn’t feel like homework and which later I will be able to look back on and recall fondly this stage in our life. Blogging has become a common word in the circus family’s vocabulary. My son or daughter will laugh about something and then ask if I will “put that on my blog.” My husband has been more than supportive of this new endeavor and the time it takes me each day to invest in it and in the lives of people I meet through it. He daily reads my posts and checks my comments. The past two weeks he has spent way, way more time working on my blog than I have. He’s been coming home from a long day at work, helping me put the kids to bed and then sitting at the dining room table, learning CSS and other codes and languages which I don’t understand in order to design for me the blog of my dreams. We’ve had to Tivo two weeks worth of our favorite shows b/c every night it’s been nothing but the blog. I’m embarrassed to admit that on more than one night I went to bed before him as he stayed up until the morning adjusting this color or that line, to make it come out the way we envisioned. Thanks honey, I love you too! More than you could ever know!! So, a year of blogging has shown me that while blogging does take a good deal of time, it is also a lot of fun. I still absolutely love every comment I get. I love the interaction. The only thing better would be to sit and chat face to face with my readers, maybe over a cup of coffee. 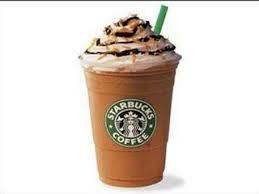 While I can’t make that work, I can at least offer one of my lucky readers a frappuchino on me! That’s right, in honor of my one year blogoversary and the friendships I have made through this endeavor, I am giving away a $10 Starbucks gift card. Perhaps it will encourage some of my “lurkers” to come out of the woodwork and say hello. I’d love to meet you and get to know you better. All you have to do to enter, is leave a comment below. To increase your chance of winning, you can subscribe to my RSS feed and or follow me on twitter (you can’t miss the links on my supper cool new blog design :-). Just leave a separate comment letting me know that you did so. I’ll announce the lucky winner on Monday and include all comments received before 1:00pm EST Monday in the drawing. I am not sure exactly where this love comes from since his dad and I are both avid football fans, but could care less about baseball. Didn’t even watch the World Series. In fact, the only baseball I’ve watched over the past few years, I’ve watched with my son. As a 2 year old, he would ask for it on TV and we’d sit and watch several innings on ESPN or catch a little on Sports Center. When he turned two, his aunt Karen and Uncle Jim sent him a tee ball stand for his birthday. Perhaps that is where his love was born. Can you believe it was once acceptable practice in our house to play baseball indoors? This shot was taken in our living room and as memory recalls, this was not an isolated incident. So, he was beyond excited when the Superbowl came and went b/c now that football season was over, he could start looking forward to baseball. And this year is his first year playing on a team. I will never forget the look on his face as he got ready for practice. He was downstairs and ready to go when Scott got home. He was so eager to get going Scott assumed they were running late and quickly they jetted off to practice. Scott called me a few minutes later confused as to where everyone was. They were 15 min early. My little guy had a grin on his face the entire practice. It was so cute to watch him stretching, grinning from ear to ear. He was stretching for baseball. Does it get better than that his face seemed to say? And yes, we were THOSE parents taking pictures of our kid stretching at baseball practice. His smile never left his face the rest of the night. I found a leftover piece of his baseball table cloth, which I put on his portion of the table for dinner and made him a white chocolate baseball lollipop out of a candy mold. I also had a baseball straw which I had picked up in a clearance bin this summer. He was ecstatic! I am so excited about his first baseball season. I can’t imagine enjoying any game more than his first ever real baseball game. I can’t believe my little guy has grown from hitting the ball in the living room to stretching at the Little League park. He just might make a baseball fan out of me yet! Not exactly wordless this week, but since it is in fact Wednesday, I decided to share some pictures from our week. Our Little Lady: All dressed up with no place to go! My daughter came downstairs the other day and told me her brother was using the screwdriver. I instantly panicked after remembering his little escapade last summer with the screwdriver. I was relieved to find he had just taken the screws off of the little plate off of the doorway. He then put them back on and screwdriver away! (not sure which was the bigger feat, unscrewing and screwing in the screws, or putting the screwdriver back where it belonged when he was done)! Since my daughter started feeling sick this weekend she has opted to sleep on the floor with a bunch of pillows to help elevate her head. I came in to check on her and found she had set up Emma on a pillow beside her. Tonight my son had his very first baseball practice and he was as cute as could be and I am dying to share some pix of the occasion, but my brain is complete mush after taking care of my sick girls all day (and it’s clear we still have a very long night ahead of us). I will save it for later this week when I can give it the time it deserves. I never got my “Can’t Leave Alone Bars” made during nap time today. And I didn’t get to blog hop all that much either. My son has been eager to make his own scrapbook with the pictures he’s been taking as well as a few others and he begged to pick them out during nap time. Sorry folks, but it was way more important. And my poor middle child had trouble falling asleep because she just kept coughing. And wheezing. And coughing. And crying (which causes more coughing), all the while still wheezing. Poor poor girl. I finally called and made an appointment for her at the pediatrician. Sick kids + no naps = loud and whiny. Baking seemed less than desirable. I mean, I didn’t even have to go through labor and delivery and someone was bringing me dinner. So about an hour later she arrived with a bag full of crafts (home made playdough, paint and all sorts of goodies) as well as lasagna and left over birthday cake. And my kids went from crying and whining to happy and delighted in about 2.5 seconds. Next thing I know her daughter is in the back yard and my kids are close behind and we got a chance to chat a few minutes on the back deck. Yea, well minutes after she left we got to the crafts (which the oldest two LOVED) but my youngest child’s fever really started to climb. And as it did, all she wanted was to be held. So, thankful I didn’t need to make dinner. Especially since we had baseball practice in there too. As the evening went on, my poor little girl’s health degenerated again. She was flushed, clingy, crying and had a fever. I really regret canceling that Dr. Appt. I always struggle with Dr. appointments. Do we need to take them in or is it just something I can handle with some TLC here at home? Often I wait it out only to regret it and second guess myself that night. Other times we go and they say it is nothing and I feel like an idiot for dragging my kids in when they could have just stayed home and cuddled on the couch. Tonight is the night I sit at home regretting and feeling like a bad mom. And counting down the hours till the pediatrician's office is opened and she can take a look at both girls. As soon as bedtime hit, my daughter began her classic asthma cough. She'll start to fall asleep, then cough, then cry, then get worked up, we'll calm her down, she'll fall asleep, then cough, then, cry, then..
And I am feeling like a schmuck for canceling that appointment. D- parenting. Especially when I was on the back deck with the youngest wrapped in blankets trying to ease her croupy cough in the cold night air while my husband is cradling the other daughter in her room as she struggles to fall asleep. SO THANKFUL my son is a deep sleeper and has missed all the action (Been there, done that. He was the kind sole that shared this with his sisters). After the baby was settled in to sleep, I got this great idea to try putting my daughter in the bathroom with a steamy shower going to try to ease her sinuses. They look kind of swollen and puffy. And as I thought of that steamy hot shower I realized I hadn't yet had a shower today. So I tell my husband how I have the best idea ever. I'll take a hot shower while he holds my daughter and she can let the steam ease her sinuses. I promise it was not a lame excuse to get in my shower for today. Even though you know I needed one and you also know I won't be getting one tomorrow morning with us calling the Dr. first thing. Well the steam room seemed to help. Not sure which helped more, the steamy air or snuggling in Daddy's arms while he sang, "It's not easy being sick" (to the tune of It's not Easy being Green). I had showered and dressed and they were still in there together so I grabbed the camera. Can't make out much b/c the steam instantly fogged the lense. Soooo.... all that to say..... I never got my “Can’t Leave Alone Bars” made and I STILL haven't had much time for blogging... but those of you that visited me this weekend at the UBP, thank you. Your comments made me smile and I am still planning on making it over to your site this week. When things settle down. Because they WILL settle down. Right?? And, a huge shout out of thanksgiving to my friend from HomeGrownStarawberries and her children for brightening our day here at the circus! We’ve been battling some germs here at the circus. Everything from ear infections, stomach bugs, croup, asthma attacks… we seem to have had it all, and then had it again. After this week’s bout of croup went from kid to kid (with the baby waking up today with a fever) I am thinking Momma could use some chocolate. So, during nap time today I plan to whip up some of these (my favs) and enjoy a little chocolate fix while I try to catch up on some blog reading and commenting. For those of you that have stopped over this week from the UBP, I am eager to stop on over to your blogs as well. In a bowl, combine dry cake mix, eggs, oil. With hands, press 2/3 of the mixture into a greased 13x9x2 baking pan. Set remaining Cake mixture aside. Microwave 45-60 secs longer or until Chips, Butter are melted; stir until smooth. Drop teaspoonfuls of remaining Cake Mixture over top. Yield: 3 doz ( I promise, like the title suggests, you CAN NOT leave em’ alone)! Hope you enjoy this easy and delicious dessert. And don’t forget to come back this Friday. My sweet hubby has been staying up until all hours of the night for the past two weeks working on my new custom blog layout…can’t wait to show it to you on Friday and have you enter my give away! 5 Minutes for Mom is hosting their annual blog party and this year I am joining in the fun! So kick your shoes off, change in to some comfy pants and make yourself at home, because the best thing about a blog party is you can join in the fun from the comfort of your couch! I’ve been blogging for almost a year now. What started as a fulfillment of my new years resolution, has grown into a means of making new friends and reconnecting with old ones as I share my circus life as a wife and stay at home mom of three active preschoolers. My roles as wife, homemaker and mother of 3 feels much like a three ring circus with each ring constantly vying for my attention. Life is often chaotic and many aspects (like folding laundry ) simply don't get the attention they deserve. I start with my role as wife because aside from my relationship with our Lord , it is the most important relationship in my life. With three small kids vying for my attention and mounds of laundry and dishes piling up to be taken care of, it's all to easy to take him for granted. I am incredibly blessed to be married to my high school sweetheart and best friend. We dated for 4.5 years before we were married almost 8 years ago (after graduating from college together). I can honestly say that the highlight of my day is when his car pulls into the driveway (and not because it means I will have extra help with the kids). He adds a level of fun and enthusiasm to the house that brightens all of our lives . Each day before he leaves for work, when we pray as a family, my husband prays that God would enable each of us to bring Him glory in all we do that day. That truly is the goal of our marriage. While we often fail, our gracious Lord is patient and forgiving. When I am navigating my way through the grocery store with my 3 kids... the baby sitting in the seat on top of the grocery cart, my toddler in the basket sitting on the bread, and my preschooler standing on the end of the cart pointing out all the things he insists are on "his grocery list", people often look at me and say, "My, you've got your hands full ." Often I literally do . Life with three kids in 3.5 years is busy to say the least . Someone always wants me for something, and often everyone wants me at once. BUT, I can honestly say I love every minute of it . I love my kids ! I love being their mommy . I love staying home full time with them. People ask me if I miss teaching (the profession I had before I had my son) and I always respond, "Not a bit!" I am teaching, full time, 3 of the 4 people I love most in this world and there is no place I'd rather be. Sure, it is loud , and my to do list is always greater than my energy level, but I am often reminded that our children grow up in the blink of an eye , and I don't want to miss it. No Martha Stewart tricks here. Laundry is the bane of my existence . We do wear clean clothes, but most of the time we find our days clothes in the laundry basket. It is a rare week where I get the laundry folded , and put away... we celebrate being washed! I do enjoy cooking though, especially baking (I'd take eating raw cookie dough over folding towels any day). I also have a ton of fun throwing birthday parties and making fun birthday cakes. I love holidays and get a kick out of decorating the house, doing crafts, and making themed food to celebrate the occasion. We celebrate St. Patty's Day, Valentine's Day, Flag Day, Cinco de Mayo and I often host big family dinners on Thanksgiving and Christmas. The two most important holidays here are Christmas and Easter and make no mistake, our kids know the reason why those holidays are important. Be sure to come back next Friday, March 27th and help me celebrate my blogoversary. I’ll be christening my brand new, custom made blog design and having a give away too! I'm really excited about it and would love for you to join me. When my oldest doesn’t take a nap, I am often looking for creative ways for him to play quietly while the girls sleep and I do “whatever I do” during nap time. Often time he plays quietly in his nap room (I separate the kids during nap time so they aren’t sleeping in the same room) or will play a computer game. Some days, however, I give him the point and shoot and let him have fun with his artistic side. Man, does he have fun with it too. One day he came up from nap and asked me to download the pics onto our computer. He had taken 88 pictures in 20 min in the guest room! He comes by it naturally though, as now that we are “digital” Scott and I have a tendency to snap quite a few, resulting in 2 external hard drives for picture storage. Ahem! So here are some pictures taken by my son over the past month or so. I love his little feet peeking out at the bottom in this one. (If you only knew the 15 or so shots he took of her wearing the scarf and hat). Another day he had fun snapping pics while I was typing on the computer. Don’t I look “lovely”? Just keeping it real for ya folks! These are some of my favs… I love his use of perspective. Took me a long time to figure out what the shot below is of. Any guesses? Here are a few from his Self Portait Series. I know this one is fuzzy, but I love it too much to leave it out. Someday when I open my silverware drawer I will find each piece sitting neatly in the slot it belongs. Someday my kids won’t come running when they hear me opening the dishwasher, eager to help put the dishes away. And I will look back on these days when my 19 mth old did it all by herself with longing. So, today I am enjoying the help! Check out 5M4M for actual Wordless Wednesdays. I seriously wonder what moms did before the internet. Where did you go when you were looking for that cookie recipe you can’t find in your recipe box, or to check for tips on how to bring your child’s fever down, or to seek help tips for crayon removal? after my daughter’s naptime, I left a face book status that I was wondering how to get marker off of a baby doll face and within the hour I had 15 helpful tips. Have no fear, google is here! Turns out you can get crayon off of plastic by using baby oil. A few weeks later I found this little note on the wall when I was preparing the guest room for company. I would have assumed it was my daughter again, because I KNOW my son knows better than to write on the wall. However, during my great inquisition I learned that he actually wrote his name (not featured here) followed by bed. Clearly, we need to work on both obedience and spelling here at the circus. So, a quick note in face book and I learned that Mr. Clean Magic Eraser does the trick for crayon on wall. And indeed it did! Google and Face book work for me when looking for some handy hints for the creations my children leave for me. Also, Magic Eraser and Baby Oil are new staples here at the circus. For more helpful tips, visit THAT family for Works for Me Wednesday. Yesterday when I was taking a picture of my son with his “baby” to post on the blog, he asked what I was going to do with the picture. Me: No, I’m just putting it on my blog. Son: But I want this picture for my scrapbook. Me: That’s fine, you can still have the picture, they’re not taking it, just looking at it. Son: Do you know the people that see your blog? Me: Not all of them. Son: Then why are you putting this picture on there? Me: Because I want to tell them about how happy we are to find baby. Son: Did they know baby was missing? Son: Then why are you telling them? Ah, the dear boy has stumbled upon one of the mysteries of blogging… who are these people visiting my site? Why do they care about our life? I’ve been blogging for almost a year now and I don’t have these answers exactly figured out. But I do know that since starting my blog last spring, I’ve had the rare opportunity to share my life with people I otherwise may not have met and in doing so have formed some friendships with people both near and far, for which I am immensely grateful. In honor of my blogoversary coming next week and as a belated birthday present, my dear husband is doing a blog redesign for me. New format, new header, all sorts of new features. I am so excited about it! As we are working on this, I am wondering if you, dear readers, could lend us a hand? We are updating my favorite acts link, and I am just wondering if those of you who read faithfully would mind letting me know which post or posts stick out in your mind as favorites? 5 years ago if you had told me that I would care, I mean really care, about a little stuffed animal blankey, I would have laughed. Shortly before I stopped teaching my third graders threw me a “surprise” baby shower. One of my students gave me a blankey/stuffed animal all in one. You know those things that have an animal head on one end, blankey in the middle and feet and buttom on the other end? My husband so nicely referred to it as looking like “road kill” with it’s flattened middle. Anyways, this little lamb turned out to be my son’s lovey. As in “return to the church and search through the nursery when you realize it was left behind…” “can’t fall asleep without it…” kind of lovey. When I was preggo with my daughter he was just under two and he named his little blankey, “baby”. Not sure if it was because I was always talking about my baby or what. But 3 years later the name has stuck. And each of our children has a “baby” of their own which they sleep with and snuggle with when they don’t feel good. Two weeks ago my son’s baby went M.I.A. At first I wasn’t too worried about it, thinking surely “she” would turn up somewhere. And now that he is bigger, he can go to sleep without her so it wasn’t the urgent emergency it would have been a few years ago. Still, we wanted to find her. After stripping his bed and washing his sheets (thanks to the great germs floating around the circus these days) and rearranging his bedroom, and searching EVERY WHERE, and then looking again, and then swallowing my pride and allowing our guests to search my house (read see those corners you typically try to hide from company) and two weeks of searching, still no baby. My son (and I) began to get afraid baby would never turn up. I know he is almost grown out of baby. That was evidenced by the fact that he was able to go to sleep for two weeks without her and without tears. But, still he missed her, and so did I. I have sweet memories of my little man snuggled up with baby. She’s been on every vacation. Through every sickness. Helped him when he had to wean off of the pacifier. She comforted him when he was scared in the church nursery. She was the symbol of his baby and toddler days that I planned to hold onto as a keepsake through the years. You know that one little lovey that you saved in a box to pull out years later and look at with nostalgia? And even if I could go to the store and by one that looked exactly the same, it wouldn’t be the same, it wouldn’t be the one that had been with us through the good times and bad. So, you can imagine my his joy and relief when Grandma found her behind our entertainment center on Saturday. She’s back, and we all couldn’t be happier. My daughter loves to change her clothes. We go through a clothing change at least, AT LEAST 4 times a day. Thankfully, she can dress herself and requires little assistance from me. Typically she rotates through her most favorite articles of clothing. In addition to her candy pants, she’s added a silk pair of pj pants to her collection, as well as a too tight Winnie the Pooh pajama shirt. Her most favorite shirts though have two requirements. She loves, loves wearing a hood and putting her hands in her front pockets. We’ve got the red sweater number above as well as the purple Pooh sweatshirt and a lime green spring jacket. In my biased motherly opinion, I think she wears “the hood” well. The hooded sweatshirt is a look I don’t pull of nearly so well and typically save for cold camping mornings when I haven’t had a shower yet. Those that have followed me in the past, know I love holidays. Here at the circus we celebrate any time we get a chance. Who doesn’t love some themed treats and fun crafts? But two holidays hold special significance for us. They are not just days to get dressed up and partake of traditions. And to set them a part we spend a great deal of time, as in weeks, preparing for them. They are more than a day, but rather a season of celebration. So, when I heard about this carnival going on over at Becoming Me, I was eager to link up. She’s hosting a carnival where people can link up with their Easter traditions and stories. We have a few Easter traditions here. In addition to inviting both sets of grandparents over the Saturday before Easter to join us in dyeing eggs and going for an egg hunt, our biggest tradition is spending the weeks prior to Easter focusing the significance of Christ’s sacrifice on the cross, for our sins. I imagine that as the kids grow, the manner in which we focus, will change, but it is my hope that the focus on Christ will not. Last year we worked on learning the hymn, “Christ the Lord is Risen today.” We sang it each night before bed. This way the kids were able to participate in singing it on Easter Sunday at church. Also, I felt like we spend a lot of time learning and singing Christmas carols, and I wanted to spend time learning some “Easter Carols” as well. I also have several Easter board books which talk about the true meaning of Easter which I get out around this time so we can read them and talk about them. Last year we did a mosaic craft of the cross in which the kids ripped pieces of construction paper and we glued them to a poster board to make a big decoration for our wall. I’d like to do that again. I also found some foam crosses at Michael’s which we put our names on and hung on our wall, remembering that Christ died on the cross, for us. Last year we used the Resurrection Eggs to tell the Easter story to the kids. My son particularly liked this and has already asked about it for this year. Easter is about a month away. I am looking forward to this time of reflection, confession, and worship. What does your family do to celebrate Easter? For more thoughts on this holiday, check out the carnival at Becoming Me. Check out 5M4M for more WW! This winter Scott and I watched the movie The Pursuit of Happyness starring Will Smith. Few movies have stuck with me as much as this one. My heart was so heavy as I watched this very smart man struggle to provide for his son. The thing that got Scott and I the most, was how immensely blessed we are. We were given so many opportunities that others don’t get. We don’t have what we do because we deserve it. It’s not because we are smarter or work harder or are more responsible. God has given us so many blessings. They are gifts. This was immensely humbling to me. And it made me all the more sensitive to those who don’t have what I do. It makes me eager to reach out and share what I have with those in need. The movie put a story behind the faces I see on the side of the street. If you haven’t seen it, I encourage you to do so. We also recently read the book Under the Overpass. I highly recommend this book. It is an easy and quick read and very convicting. Two college age Christians take time away from their studies to live on the streets for 6 mths. They essentially become missionaries to the homeless in the U.S. They lived in 6 different cities for approximately one month at a time. This book records their journey. It is humbling and saddening to see how people who claim to be Christians respond to them as homeless. The author truly struck a chord with Scott and I. He encourages the reader to be passionate about living out our faith in deeds. Doing more than just talking about our faith, but living it out. The author talks on his webpage about “living out loud” and that is something we are striving to do. I strongly encourage you to take the time to read the book and let him challenge you and your thinking and actions. You can find more info on the book here. I know I finished quite humbled and quite eager to do more to serve our Lord, by serving His people. Last month I wasn’t able to join Scott when he went back out to deliver lunches, due to the stomach bug makings its way through our family. I am eagerly looking forward to serving alongside him this month and to looking for more ways to live my faith out loud. Scott and I have found a new way to spend a Saturday night together. For two and half years now Scott has been going into a nearby city to distribute bagged lunches to the homeless as part of our church’s homeless ministry. Typically, I stay home with the kids while he goes. In January, I had the opportunity of joining him. I had been once before about a year ago, but still I was nervous. Scott assured me it was safe and the people were friendly. They always stop on the same street corner at approx the same time. People know this and gather there in expectation. I had the opportunity to speak with a few gentlemen while distributing backpacks. One man’s name was Joseph. I was struck by the sense of hope he had. He worked construction and told me had numerous licenses. While he was without work at the time, he was quick to tell me about the many places in the city he had worked. He also told me all about his one year old daughter and how he wanted to save for her college fund. (His daughter was not on the street as she lived with her mother). He visited her often he told me. Next we went to the tent city. It was a place I had never been and was most nervous about. Scott had talked about it before, but it was nothing like what I had pictured. I’ll be honest. What I pictured was a bunch of tarps with a fire bin in the center and I am ashamed to admit, drug dealers all around. What I found was some of the kindest men I had encountered in a long time. The tent city is located on the grounds of a church in the city. The church bought the land to allow those in need to “set up camp” so to speak on their yard. Camp consists of cardboard boxes beneath them and layers of blankets and tarps on top. Once they go to sleep for the night, they pull the layers tight over top of them to keep the warm air inside. Once they are “in” they don’t like to get up and let the heat out. Some people had boxes of their belongings piled beside them. It looked as if they had recently left their home and this was all they could take with them. There was a man who knew everyone there. He’d come up and ask for a bag for “so and so” who is 3 mths pregnant and laying over in the corner. He knew everyone’s name, life situation, size and even though they were tucked in for the night, he was looking out for them, he’d come and ask for stuff for them and then walk with us to where they were so we could give it to them. He didn’t need to do this, mind you. It was obvious he cared about these people. It was obvious they had formed a community here. One man described himself as a resident of the tent city. This was their home. I so enjoyed meeting these people. While we were there, one man ran several blocks to get his brother from the Vet Rescue Mission and asked us to stay until he got back. While we lingered, I had a long talk with a man named Timothy. He was a Christian. I didn’t hear why he was on the streets, but he’d been a resident of the tent city for several months. When he walked up I introduced myself and asked his name. He laughed. I wasn’t sure what to make of that till later he told me he had a daughter about my age with the same name. I struck a chord with him. He lingered after we handed out lunches, chilli, and backpacks, so we got to talking about the Bible and he brought up the book of Job. I had just read it the week previous and I told him that. He then started talking to me about the leviathan. I had no idea what he was talking about (kind of embarrassing since I had just read Job the week before). He asked if I had THE WORD with me and I did. So we got the Bible out and in the dim streetlight me and two men stood reading Job 41 and talking about how nothing is out of God’s control or reach, nothing is more powerful than Him, even the most powerful monster on earth. It was a sweet time of fellowship. The man’s brother returned breathless. He ran up to Scott and gave him a huge hug thanking him for waiting and for the backpack. As we left, I told Scott if I ever have to be homeless, which I truly hope is never the case, I’d want to live there. I was truly moved by the selflessness I saw in that community. Prior to Scott’s involvement in this ministry, I must confess I tended to avoid the homeless. If I saw them on the street, I didn’t want to make eye contact with them. Scott’s involvement has opened my eyes to the fact that they are people too, and instead of being afraid of them, we need to show them God’s love and kindness. When he goes to deliver lunches or visits a rehab house to make dinner, he always makes a point to stop and talk and engage the men, to show them he cares about them and extend a hand of friendship. He’s not just giving them a meal, he is giving them his friendship. God has definitely placed the homeless on both Scott and my hearts. After my last trip out with him, I am eager to join him again. I’ve found some friends who are willing to watch the kids for us, so that we can now serve together in this ministry. This is something that excites us both. This week Scott had a business trip. It could not have come at a worse time for him. He has some big deadlines at work and this trip meant 3 days away from the office. He knew before he left that he would return swamped. It seemed there were more reasons for him not to go, than to go. And while it seemed not to make any sense, away he went. Wanna know the really cool part? The place he had to go was near where his Nana lives. He hasn’t seen his Nana in a year and now he was able to spend two nights with her. His Nana is one of the neatest ladies I’ve known and I was quite jealous of the time he got to spend with her. Wanna know the really, really cool part about the timing? I do know that our Heavenly Father loves his children very much and He cares about them immensely. I think it is entirely possible he arranged for Scott to be at the right place at the right time to bring comfort to his Nana. And that thought enabled me to smile as I hugged him goodbye, for I knew his trip was so much more than just a business trip, he was doing God’s business as well. "It's Friday night/And the mood is right/Gonna have some fun/Show you how it's done, TGIF.."
Remember those days? Nothing better topped off a hard week of going to school and talking on the phone like a little Full House, Family Matters, and Perfect Strangers. If ever there was a week that needed an end, this week here at the circus, was it. This weekend promises 60 degree weather. We are so opening our windows and airing out the place. We could totally use a new scent around here.